The founder of anti-communist paramilitary organization filed petition to Supreme Court against incoming president Rodrigo Duterte presidency. But the good news is, SC junks plea by Pamatong seeking to stop Duterte presidency. According to Supreme Court, they junked the petition for a 'writ of mandate' filed by lawyer Elly Velez Pamatong (USAFFE founder) looking to ignore or nullify the votes received by Duterte during the 2016 elections and to stop his proclamation. SC denied it because they prove that the Pamatong's petition has no clear legal right in forced to do something about the proclamation for Duterte. According to SC's statement, Pamatong's petition "on the ground that there is no showing of a clear legal right to the performance of the duty sought to be compelled by the petitioner." Aside from this, the Congress urgently call in joint session to proclaim Mayor Rodrigo Duterte and Camarines Sur Rep. Leni Robredo as the winners in the presidential and vice presidential elections, respectively. The PDP-Laban presidential bet got 16,601,997 votes while LP vice-presidential aspirant got 14,418,817 votes. Duterte defeated Mar Roxas, Senator Grace Poe, Vice President Jejomar Binay and Senator Miriam Defensor-Santiago. Atty. Pamatong become famous or well known as 'Spike Boy' in year 2004 when he scattered metal spikes on Roxas Boulevard, leaving scores of vehicles with flat tires. He also become a "nuisance" candidate in the 2004 and 2010 presidential races. 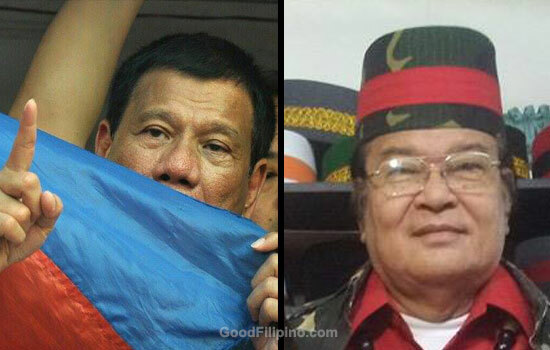 What do you think on Pamatong real reason why he wants to stop Duterte presidency? Please point your thoughts below. Comments or suggestions about "Supreme Court junks Pamatong petition to Stop Duterte presidency" is important to us, you may share it by using the comment box below.